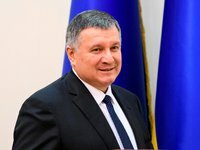 Ukrainian police are continuing to record and curb the distribution of money among voters on the condition that they vote for a particular candidate in the upcoming presidential election, Interior Minister Arsen Avakov said. "We are continuing to record the distribution of money and networking activities. We are curbing them, and I think we are doing this successfully. For instance, this happened in the Chernihiv region yesterday. Investigative procedures are continuing in Vasylkiv in Kyiv region. I think suspects will be served suspicion warrants before the second round," Avakov told journalists on the sidelines of a security forum in Kyiv on Thursday. He declined to specify whether these people were linked to Petro Poroshenko's or Volodymyr Zelensky's campaign staffs. "I won't name the candidate, but I think you'll be able to see that perfectly well for yourself in news reports," he said. "There are also organizational risks related to the reformatting of elections commissions," Avakov said. "I hope the Central Elections Commission and ourselves will address those organizational risks," he said. Special teams of the National Police will also be deployed at certain polling stations, he said. "We are sending special National Police teams where observers recorded abnormal voter turnout and abnormal voting for one of the candidates [during the first round], so these stations are under closer control," Avakov said.